Authentic Oriental rugs are heirloom investments. Like fine cars and quality homes, custom rugs require regular maintenance and specialized care to maintain their grandeur and value. Who will you trust in the Orangevale and Sacramento area with your Oriental and custom rugs? Leading Sacramento interior designers and businesses like Allied Custom Upholsterers or Rytina Fine Cleaners send their clients to Artistic Associates for full-service cleaning, maintenance and repair of premium rugs andflooring. Heirlooms deserve museum-quality preservation, and our technicians provide that level of care. After reviewing Artistic Associates’ eight-stepprocess for maintaining Oriental rugs, you will agree that craftsmanship went into creating your rugs, and skill is necessary for cleaning and repairing them. With custom equipment and training, Artistic Associates successfully repairs damage to rugs from water seepage, food stains, moths and beetles, or even pet urine. Finally, we offer safe fabric protectants and customized underlayments, essential components for long-lasting rugs. Many clients discover to their dismay that certain cleaning procedures work well for synthetic carpets, but have disastrous effects on Oriental rugs. It is this fear that leads people to search for professional rug maintenance that they can trust. Let us reassure you that Artistic Associates is a locally operated, family-owned business, with over forty years of experience cleaning Oriental rugs. We combine this practical, “on-the-job” knowledge with premiere training from the Institute for Inspection, Cleaning and Restoration. When it comes to Oriental rugs, we combine the art of their construction with the science of their proper care. 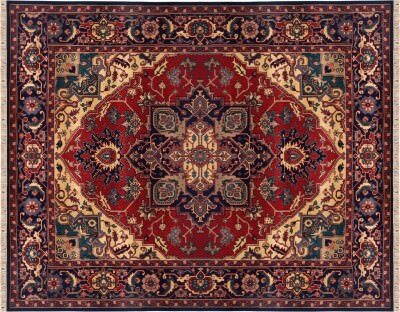 Authentic Oriental carpets and other rugs made from wool or silk are cleaned and restored in our specialized facilities. Owning our custom workshop allows Artistic Associates to safely inspect rug fabrics and dyes before starting specific cleaning procedures. With us, your rug is treated by hand during every step. Since your investment is in our personal care, you never have to worry about it being “sent out” or “lost” by unfamiliar subcontractors. Time-tested procedures, experienced tradesmen and in-house facilities are the best guarantee that your Oriental and custom rugs will be returned in beautiful condition. Nevertheless, to reassure our clients, Artistic Associates is insured and bonded. Contact the Oriental rug cleaning service that Orangevale trusts! With honest pricing, our expert team of technicians and specialized facilities guarantee that the maintenance and repair of your rugs will be a rewarding experience. Discover the skill and integrity of Artistic Associates! Clients from Orangevale, California call us at 916.483.7400.